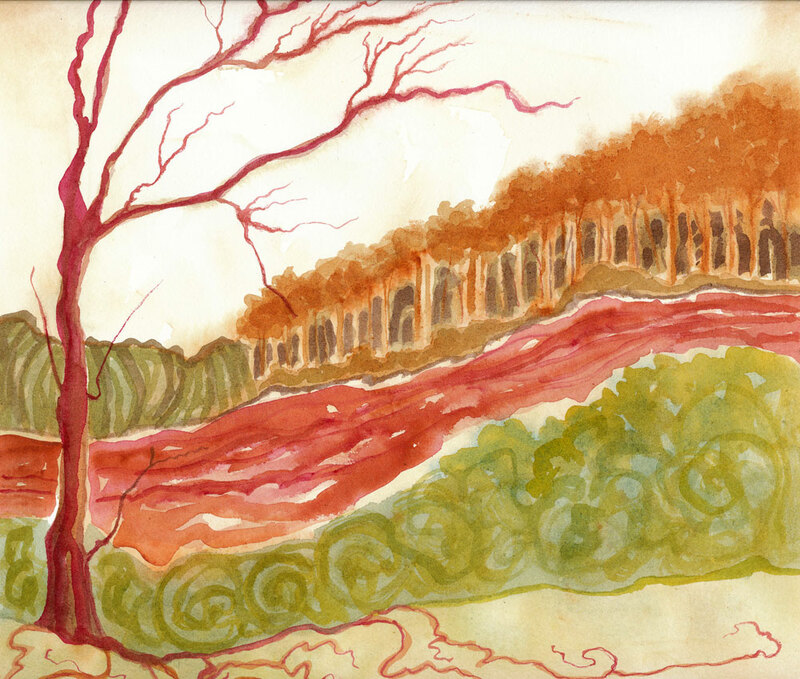 The River Red is the 3rd in a series of daily watercolor paintings. Each painting is small (10″ x 10″). This entry was posted in Uncategorized and tagged Artpony, daily paintings, daily watercolors, landscape painting, Linda Kay Thomas, Linda Snider-Ward, Louisiana artist, River Gallery, Second Saturday artist, small paintings, watercolor. Bookmark the permalink.